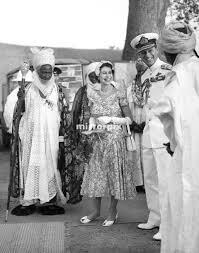 It is worrying how Britain keeps using the Fulanis to hold Nigeria hostage. one wonders when Britain the creator of the contraption called Nigeria, will get tired of using the Fulanis to deceive the world. You support Fulani to always remain in power to enable you continue your business with them because, without them, it will be tough for you to keep making use of Biafran resources. Britain, Buhari died in your country early 2017, instead of making it known to the world, you manufactured Buhari's Robot and brought to Nigeria to continue as President of the country so that you can stay with what you are doing. From time to time, they bring it back to you to service and enhance its performance. Interestingly, what is not natural is not natural, maybe the expiring date is fast approaching, and you have re-strategized to use Atiku Abubakar to replace him. (using bigger evil to replace smaller one). 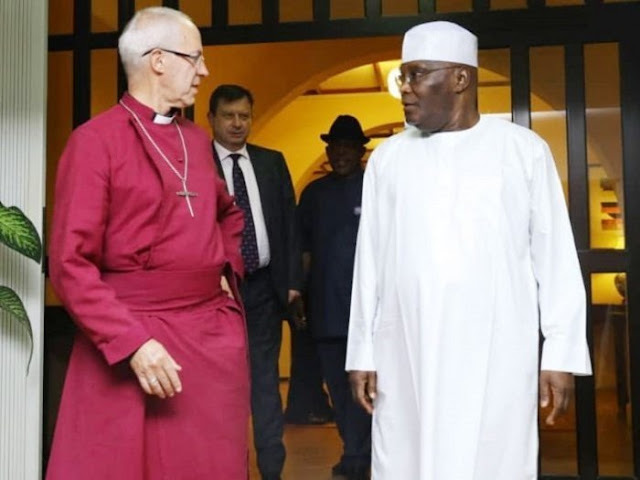 The visit of Theresa May, British Prime minister to Nigeria and the speed with which Archbishop Justin Welby, the Archbishop of Canterbury visited Atiku are clear evidence that you have concluded your plans to that effect. Nigeria has not benefited anything from Britain; the civil war that Britain orchestrated and prosecuted claimed the lives of more than 3.5 million Biafrans. They never wanted Biafrans to survive because of their God-given resources, Britain and the Fulanis wish to take it all, if not, why are they preventing Biafrans to be free? IPOB is struggling to restore Biafra, not even a single support is coming from Britain. Nigerian government arrested and detained Nnamdi Kanu their citizen for almost two years; they looked the other way and instead introduced BBC Igbo to distract the attention of Biafrans. These are some of their strategies to make sure Biafra does not come. They keep on saying one Nigeria, what makes it one when a particular tribe continues to be on top. God has decided to put an end to all these hence the emergence of Nnamdi Kanu as the leader of the Indigenous peoples of Biafra. He has exposed the hidden evils done by Britain and their Fulani slaves to Biafrans. He shall surely deliver Biafrans from the hands of the evil ones.